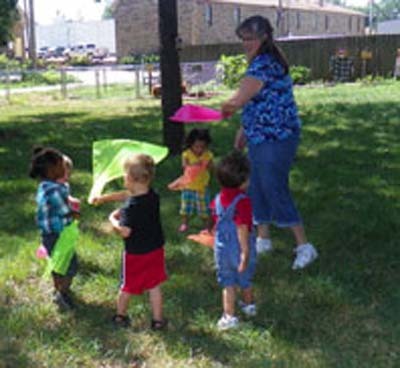 After attending a conference, Corinne Carr of Special Blessing’s Child Care, knew that her vision was the creation of a space where children could learn, enjoy the outdoors and be active. 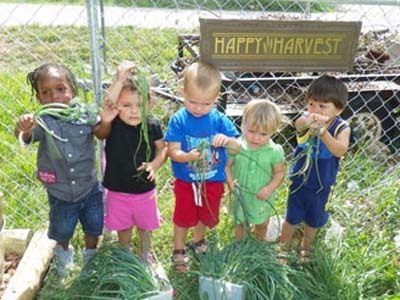 With the world becoming more dependent on technology for entertainment, Special Blessing’s Child Care is providing an opportunity for children to connect with the natural world. 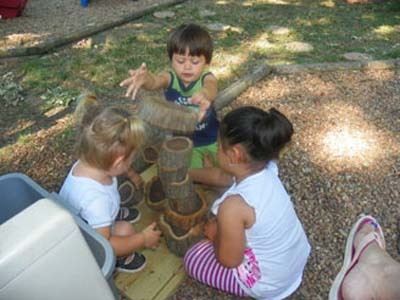 The Entry Feature at Special Blessing’s Child Care welcomes children into a beautiful space created to engage children in a world of discovery, imaginative play and learning. Signs are positioned in each area that includes a picture and a full description of the benefits and skills developed in that area. 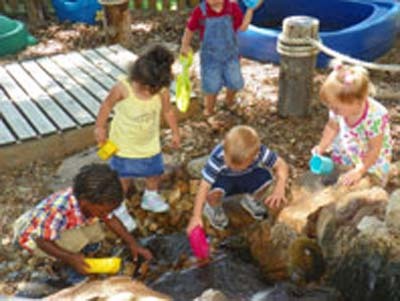 Each area of the classroom has been filled with creative and unique elements such as; dancing scarves, hula hoops, homemade drums, chimes, bird feeders, water features and gardens. 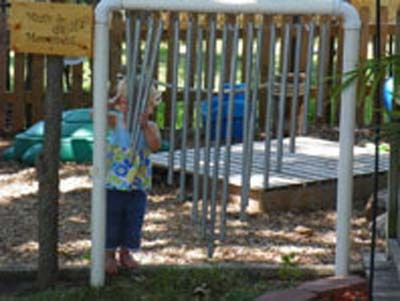 The Outdoor Adventures Classroom was a labor of love involving Corrine Carr’s entire family. She would like to thank her husband, Monte Carr for his hard work in helping with the outdoor classroom and appreciates his hard work and help in making her vision come true. 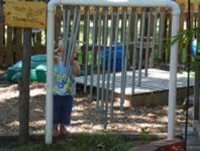 She would also like to thank her Dad for his hard work in creating and building the large chimes; her mother for helping to create plaques and mosaic designs for the outdoor environment; and also all of the families that she serves for their support, excitement and interest in the progression of the classroom. Special Blessing’s celebrated the World Forum International Mud Day in 2012 and came away with wonderful memories and mud pies! 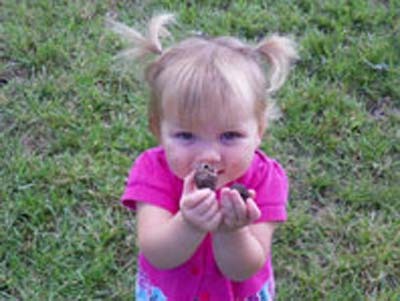 The children made an earthworm by mixing dirt and grass seed, then stuffing the mixture into a knee-high pantyhose. Eyes were glued on and then the children sprayed the worm with water and watched him grow. 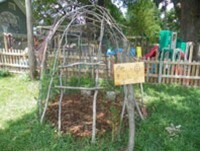 With the help of another couple, a hut was built out of tree saplings. Clematis and honeysuckle were planted to climb up the outside of the structure. 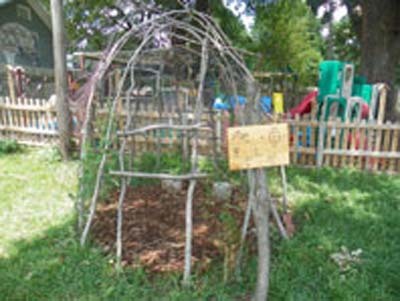 A sign with the word Aho, meaning welcome or hello, has been placed near the hut. A picture of a medicine wheel is included with the words north, south, east, west, earth, air, fire and water which represents harmony and peace among all living beings on Earth. A variety of natural materials are available such as cedar wedge, rocks, walnuts, sweet gum balls, seashells and acorns. Trees, perennial and annual flowers and grasses were planted to soften and add interest to the space. 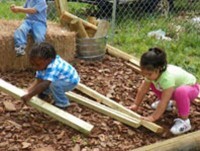 Raised garden beds are easily maintained with the option to incorporate different themes each year. 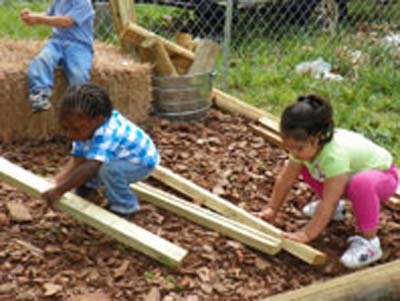 The surrounding city is rich with opportunities to seek assistance or guidance with the outdoor environment. 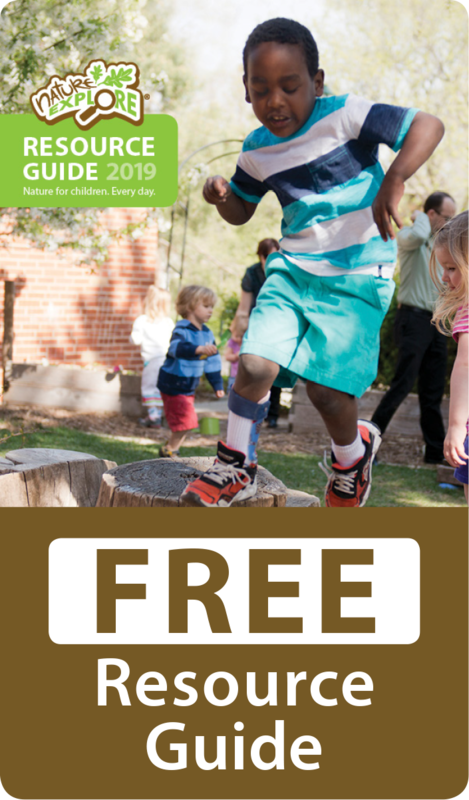 There are many nurseries, lumber yards, Boy and Girl Scout groups, Child Care Licensing, an Art Council and also Emporia State University and Emporia Technical College.